In light of yesterday’s exciting news of Disney’s The BFG coming soon to select IMAX® 3D theatres, I thought it would be fun to spotlight the past IMAX releases of none other than the legendary filmmaker (and director/producer of The BFG)—Steven Spielberg. Spielberg’s legacy with IMAX is a relatively recent one—but one that is marked by significant creative achievements both old and new. Beginning in 2011, the first film directed by Spielberg to open in IMAX theatres was The Adventures of Tintin. Earlier that same year, J.J. Abrams’ Super 8—which Spielberg produced—also got the IMAX treatment. Both films were considered artistic and financial successes on a global scale. 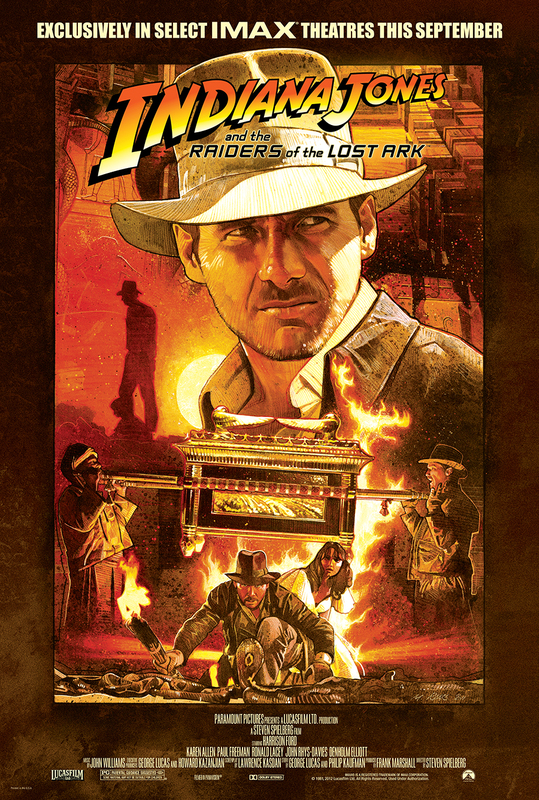 The following two years saw the re-releases of Raiders of the Lost Ark and Jurassic Park 3D, respectively, marking the first time either classic had ever been released in IMAX. Both Raiders of the Lost Ark and Jurassic Park 3D—along with The Adventures of Tintin and Super 8—are special moments in the history of IMAX DMR®; and we’re excited to keep the Spielberg legacy going strong with The BFG. So be sure to check back with IMAX.com for theatre listings and availability. See you there!